Take Control and Start Building Trust with Our Help. Online reviews are more important than ever. 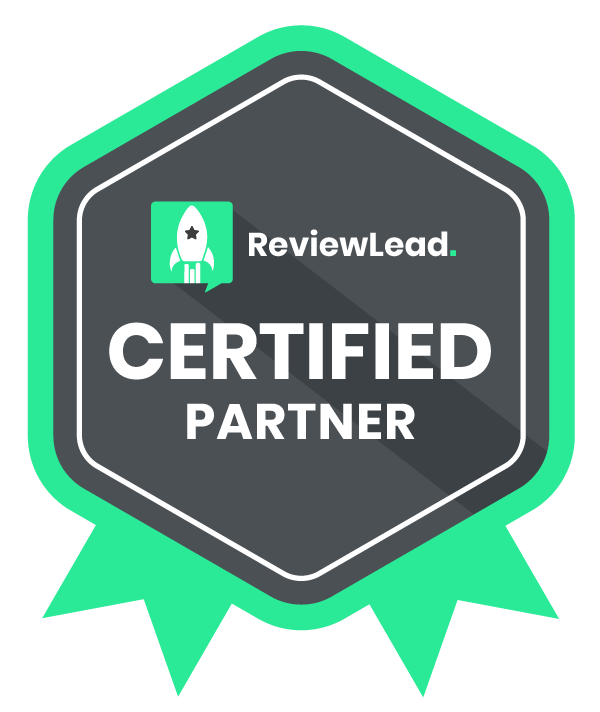 As a certified ReviewLead™ partner, we can help you boost your average star rating, and take control of your reputation. Stop bad reviews in their tracks and get valuable client feedback in private. Remind happy customers to leave reviews, and get more REAL 5-star ratings. Automatically share your 5-star reviews to maximize exposure and results. Be the first to know about new reviews with automatic monitoring and alerts. Measure your progress with deep insights and detailed reports. Managing your online reputation doesn’t have to be frustrating. Let us show you how our ReviewLead™ service can make online reviews the easiest part of your business. 97% of consumers check reviews of local businesses to decide which ones are good or bad to buy from. And 73% of consumers think that reviews older than 3 months aren’t relevant. Online reviews are the “new” word-of-mouth advertising. Recent consumer research shows that 85% of consumers trust online reviews as much as a personal recommendation. And that number climbs higher every year. Yet, business owners often feel helpless when it comes to protecting their online reputation from disgruntled customers or fake reviews. And because 94% of consumers admit that an online review has convinced them to avoid a business, having negative reviews online can impact sales and damage your finances. 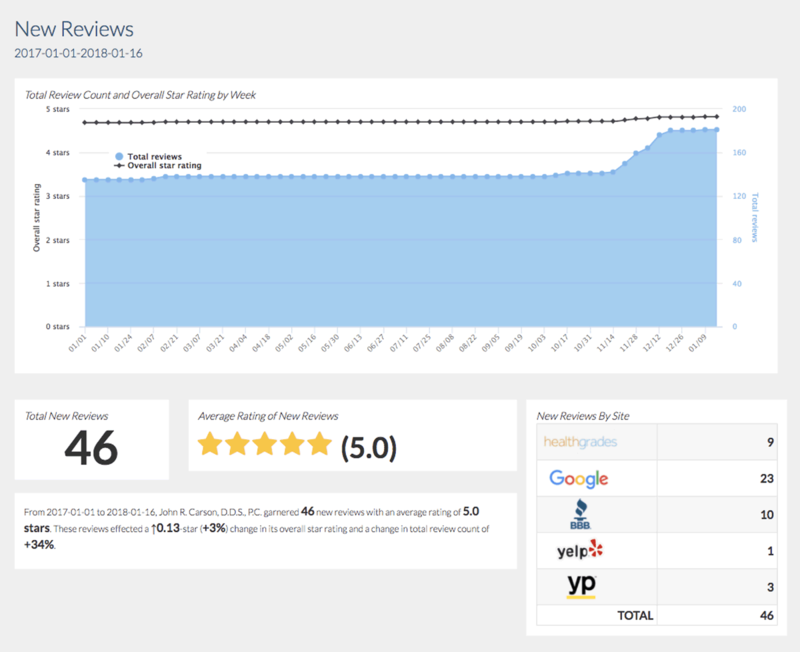 Our ReviewLead™ service can help you monitor your online reputation and collect authentic customer reviews automatically, so potential customers see your business as one they can trust. 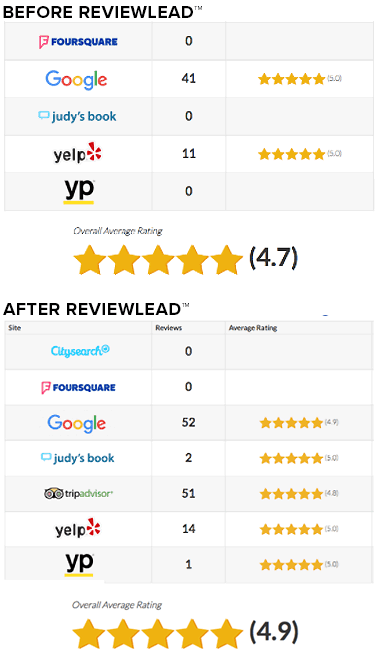 Want to see what our ReviewLead™ service is capable of? Check out the case studies below! Before using ReviewLead™, Horn Pest Management’s online ratings were basically nonexistent. Ryan needed a way to build a reputation of trust in his local community. After starting with ReviewLead™, Ryan went from a non-existent online reputation to having 4-5 stars everywhere that mattered for his pest control business. He was even able to get 25 new customers in just one month from Yelp alone! According to Ryan, in the first 3 months of using ReviewLead™ his investment in the program paid for itself more than twice over. Before using ReviewLead™, Kalil & Associates Accounting Solutions had zero reviews online. 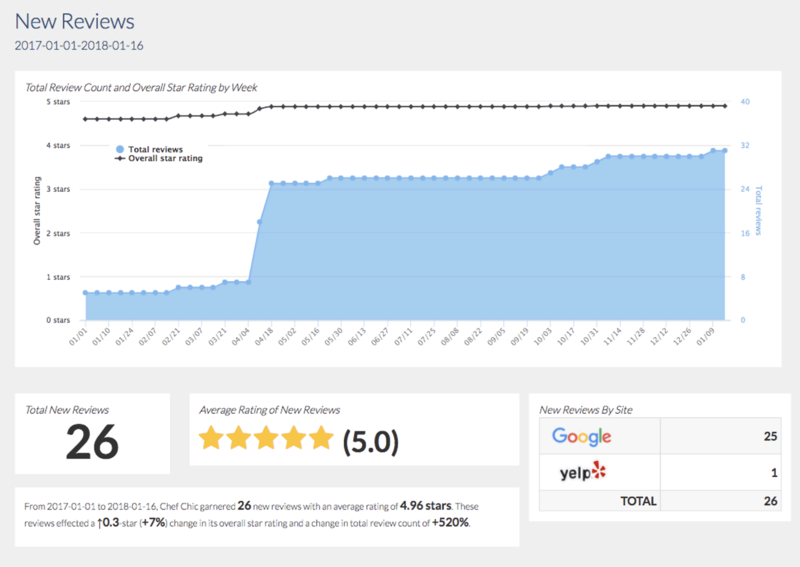 Within the first six months of using ReviewLead™, the client accumulated 28 new reviews with an average star rating of 4.96! This gave them a competitive advantage when potential clients were comparing their firm to their competition, to decide who to do business with. By adding ReviewLead™ to her marketing, Wendy was able to add 26 new reviews that landed her a huge catering job, and paid for her investment in ReviewLead™ many times over. Arizona Business Equipment had almost no online reviews prior to using our service. By investing in ReviewLead™, Arizona Business Equipment was able to add 25 new reviews with an average 4.8 star rating. John and his staff didn’t think reputation management services would work for their practice. After implementing ReviewLead™ for their cosmetic dentistry office, John was able to add 46 new reviews…all of them 5 stars! People were leaving negative reviews about being required to perform drug tests at all, instead of leaving reviews about the service at the facility itself. These negative reviews pushed the clinic’s reputation down to 3.2 stars, and was not fair to the facility. 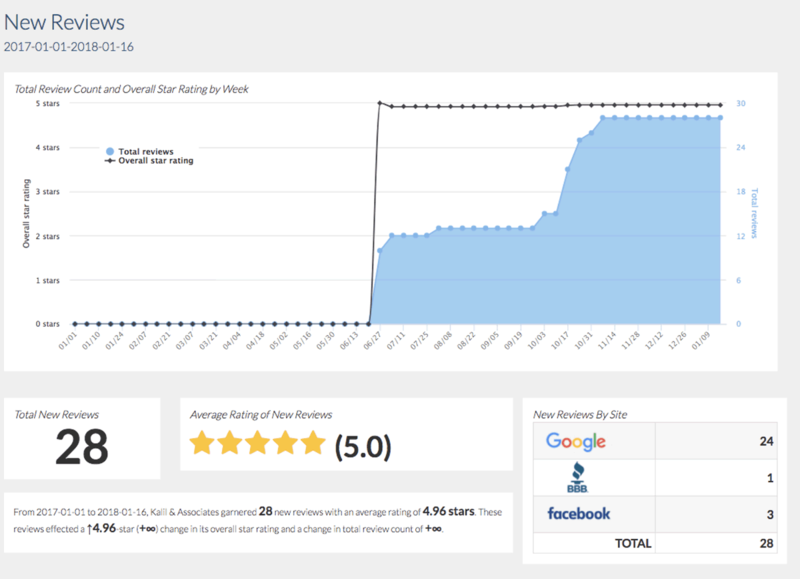 Adding ReviewLead™ to their process allowed them to collect 39 new online reviews from real patients, that pushed their star rating up from 3.2 to 4.4 overall. Having been in business for over 73 years, Reproductions Inc. only had 41 reviews online with an average 4.6 star rating. 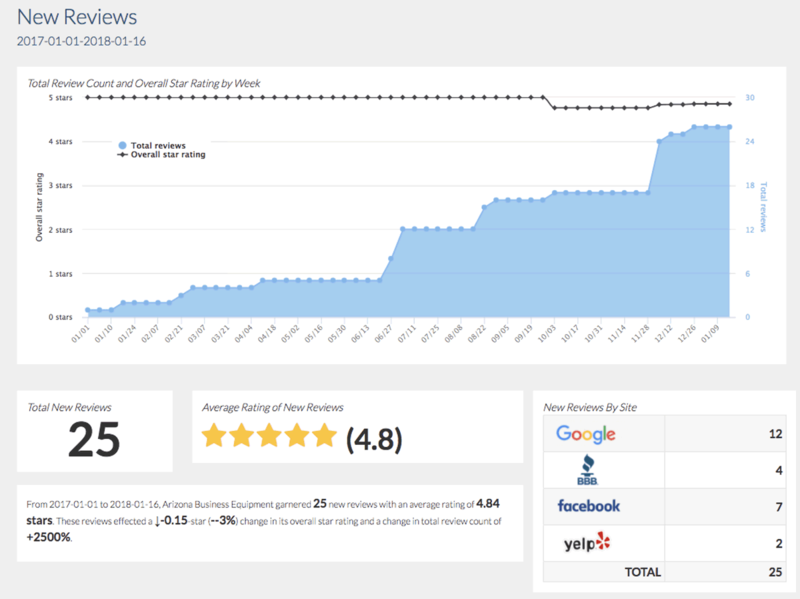 By investing in ReviewLead™, this local print shop was able to increase from 41 reviews to 176 total reviews online, and increase their star rating from 4.6 to 4.9. 16 new new 5-star reviews received in 24 hours! 64 new 5-star reviews received in the first month! Maloney already had over 100 reviews online, but needed a better way to manage and track reviews for the practice. 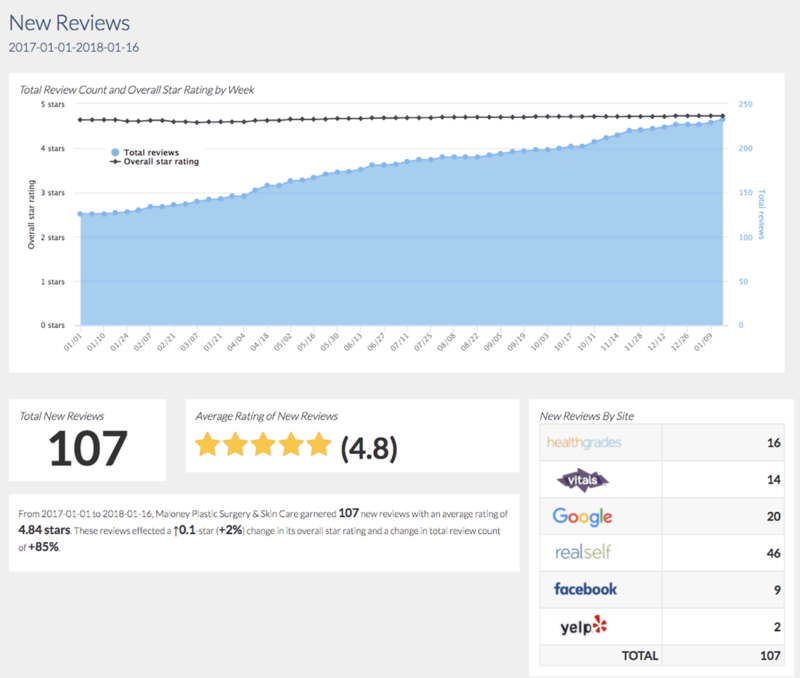 Adding ReviewLead™ helped them gather 107 new reviews over 12 months (an increase of 85%), while maintaining a high star rating. It just goes to show that consistency is critical, and there is always room for improvement even when things are pretty good to start with. The artist already had a decent review rating and lots of reviews for her gallery, but she was tired of reminding her staff to constantly ask for reviews. Also, the reviews she had were from last year so she knew she needed more recent ones for it to be effective. By investing in ReviewLead™, the client was able to add more reviews with our automated system than by relying on her staff to gather reviews manually. And, she received 64 new reviews in the first month alone!